Martin Healy, Jr. has pushed the limits of fair recovery for clients. In a single calendar year, he had three multi-million dollar jury verdicts. Each was a record verdict, and resulted in a total of over $50 million. 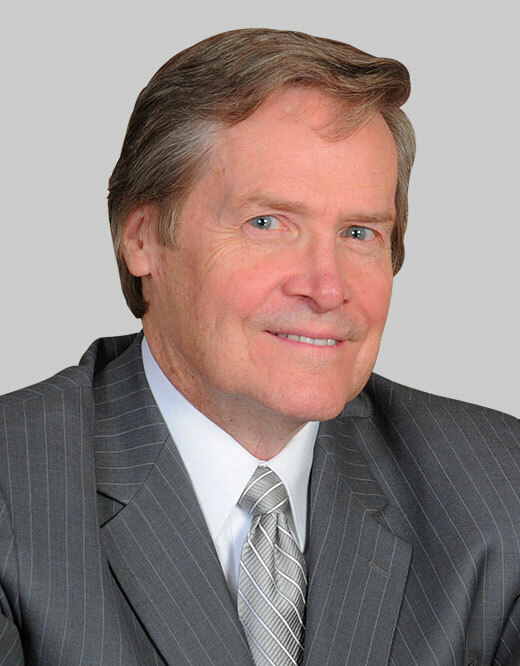 Martin Healy, Jr. is an experienced and dedicated advocate for injured clients in a career that has included obtaining numerous multi-million dollar jury verdicts and settlements, some in the tens of millions of dollars. He personally has obtained 15 multi-million dollar jury verdicts that range up to $25 million and total over $150 million. They involve a number of very different areas of injury work including products liability, interstate trucking, construction, medical malpractice, transportation and police and school procedure cases. He began his legal career as a Law Clerk for the Supreme Court of Illinois. Later, he served as Counsel, Illinois House of Representatives, Attorney, James A. Dooley & Associates, and General Counsel and First Assistant Corporation Counsel, City of Chicago. He has lectured and written extensively for numerous Bar Associations, including ATLA, ITLA, AAJ, the Illinois State Bar Association (ISBA), the Chicago Bar Association (CBA) and the Illinois Institute for Continuing Legal Education (IICLE). 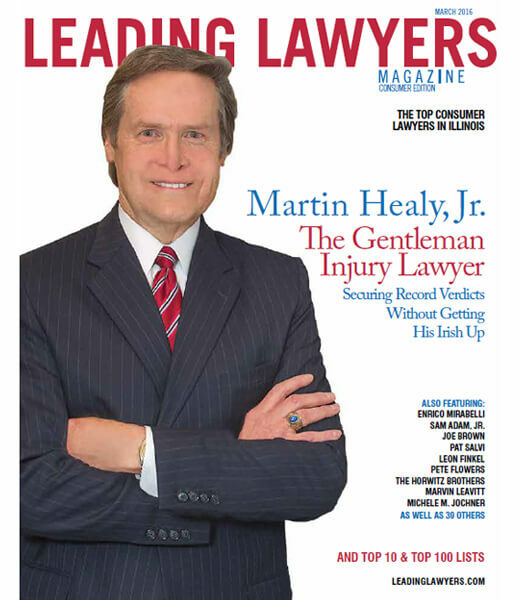 Mr. Healy has completed his term as Chair of the 1700 member Products Liability Section of AAJ and while Chair he authored with John Scanlon and Matthew Healy an article in Trial, the national publication of the AAJ, in its products liability issue, entitled “Uneasy Rider” involving products liability claims against motorcycle manufacturers. Mr. Healy is currently a member of the Board of Governors of AAJ and Board of Managers of ITLA. He has served on the Executive Committee of both AAJ and ITLA. He is currently Chair of the Motorcycle Litigation Group, Past Chair of the Truck Underride Litigation Group, past member of the Board of Directors of the Interstate Trucking Litigation Group of AAJ and on the National Advisory Board of the Association of Plaintiff Interstate Trucking Lawyers of America (APITLA). He was also Chair, Tort Law Section Council, ISBA and Chair, Tort Litigation Committee, CBA. He was voted one of the top ten plaintiff’s personal injury lawyers in Illinois by Leading Lawyers and he has been inducted as a Fellow into the International Academy of Trial Lawyers, an invitation only group of elite trial lawyers, limited to five hundred throughout the United Stated and includes lawyers from thirty countries. 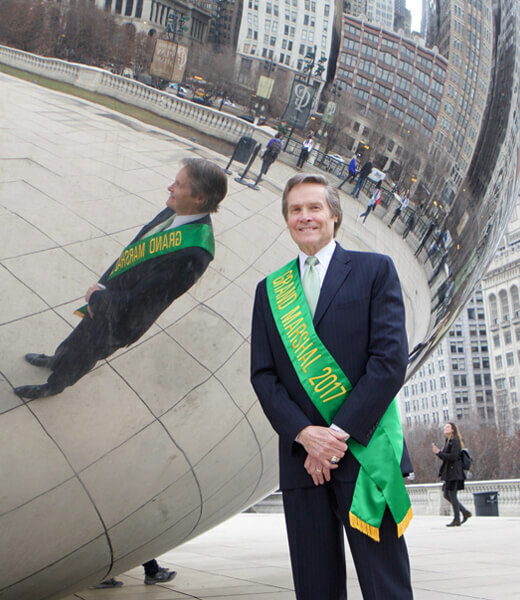 Recently, he received a Trial Lawyer Excellence Award for obtaining the Largest Verdict in Will County from the Cook County Jury Verdict Reporter and was voted in the US Irish Legal 100, a select group of 100 accomplished attorneys nationwide. He is a past Chair, Illinois Supreme Court Rules Committee appointed by the Illinois Supreme Court for a three year term. He was past member for 13 years of the Illinois Supreme Court Committee on Civil Pattern Jury Instructions and a former Commissioner of the Illinois Supreme Court Committee on Character and Fitness. He has finished his term as President of the Board of Governors, Loyola University School of Law. Mr. Healy has been active civically as Director of the Sauganash Community Association and Queen of All Saints School. The son of immigrant parents from Ireland, Mr. Healy is very active in the Irish Community in Chicago and Irish organizations including the Irish Fellowship Club of Chicago (President), Irish American Heritage Center (Chairman, Library Fundraising Committee), Celtic Legal Society (President) and the St. Patrick’s Day Parade Committee (Annual Dinner Chair and Secretary of the Board of Directors). 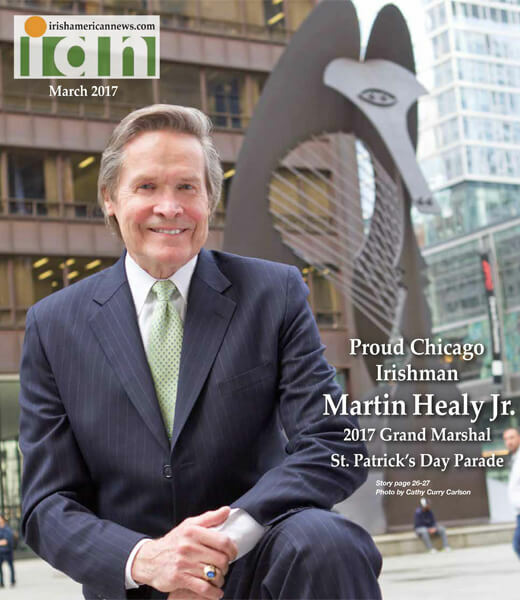 Martin Healy and other members of The Healy Scanlon Law Firm write a monthly column for the Irish American News, “Healy Scanlon Law” covering legal topics of interest. He has been admitted to practice in Illinois, Federal Courts and the Supreme Court of the United States of America. Sometimes, we are able to reach agreement without the need to litigate. However, if a fair offer is not on the table, our lawyers are always prepared to go to trial to recover the full amount our clients deserve. We have successfully litigated cases in courts throughout Illinois and the Federal System as well as Wisconsin, Indiana, Kentucky and Missouri. We have successfully argued in the Illinois Supreme Court, helping to create precedent to enable fair recovery for injured plaintiffs. We are located in downtown Chicago overlooking the Daley Plaza and Daley Center, one of the largest litigation centers in the country. There is never a charge to discuss your case with one of our attorneys. We accept cases on a contingency fee basis, which means we only get paid if we recover a settlement or verdict for you. Evening and weekend consultations are available.